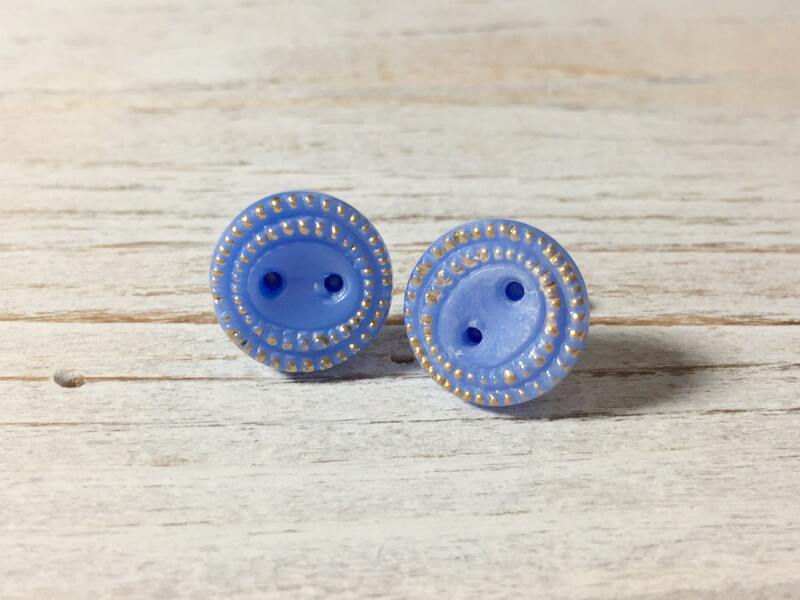 Gorgeous vintage czech glass buttons in a pretty blue with gold detailing around the edges were used to make these stud earrings. 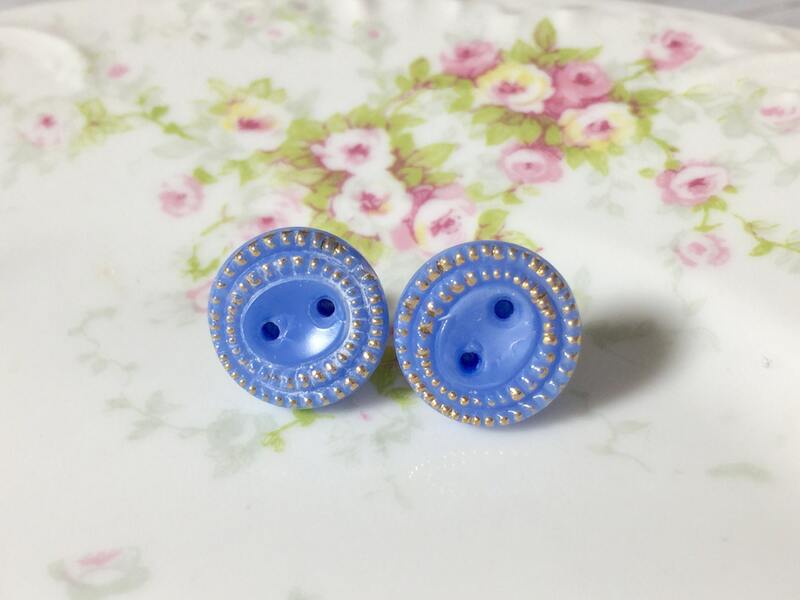 I used stainless surgical steel ear studs so that those with sensitive ears could enjoy them too. 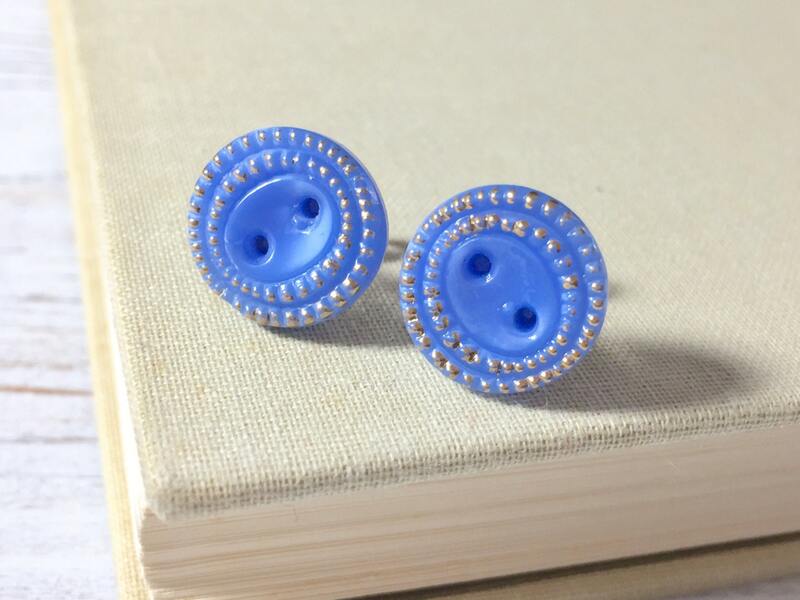 These earrings measure about 9/16 inches (14 mm) in diameter. 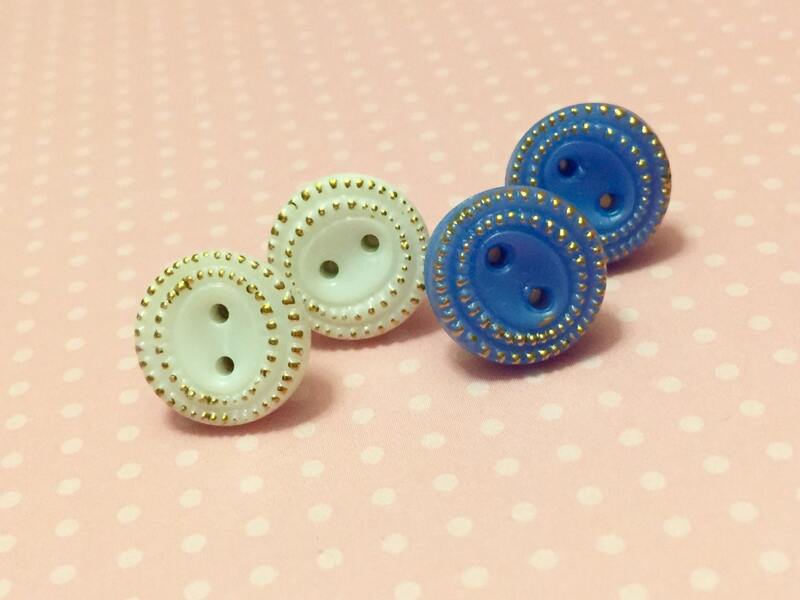 As shown in the last picture, I also have these available in white. 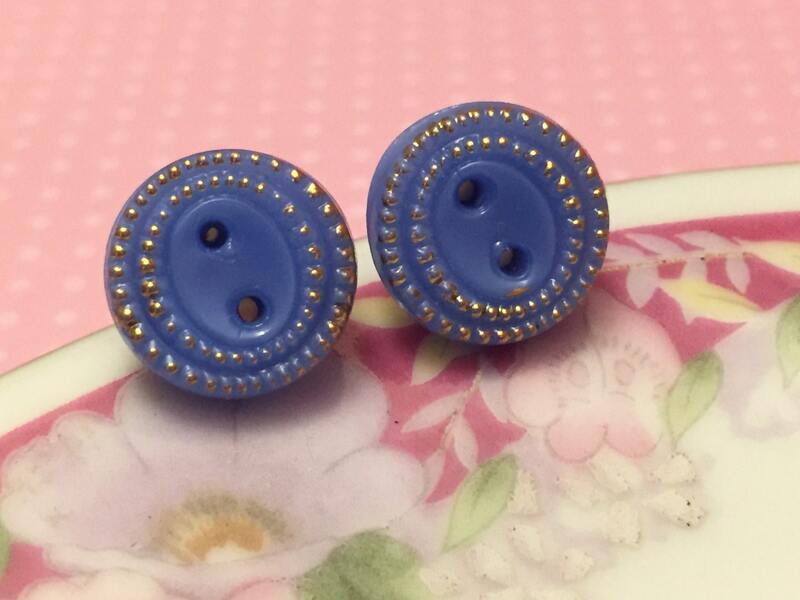 Please see my Button Stud Earrings section to find them.